PAPUA New Guinea is a ‘multispeed economy’ underpinned by a thriving natural resources sector. This was the description given by Westpac Bank PNG’s General Manager Geoff Toone when asked about the bank’s focus on the resources sector for 2015 and beyond in PNG. “Westpac PNG is focused on increasing its participation in PNG’s natural resources sector, Mr Toone said. PNG’s geographical proximity to Asia, its abundance of natural resources, new mines, the successful completion within schedule of the 19 billion ExxonMobil-led PNG LNG project and the advancement of a possible second LNG train has attracted many investors over the past five years. Evidence of this was in the increasing prominence of the PNG Mining and Petroleum Conference, he said. 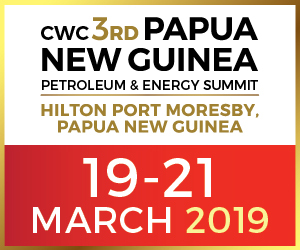 “A number of new participants were seen at last year’s conference and this underlines the interest in this sector and the general interest and investment in PNG,” Mr Toone said. 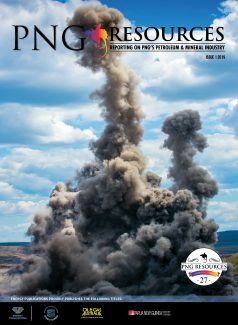 One of the key positives from last year’s conference was the fact the PNGLNG project went very well and was delivered on time – and that PNG is a low-cost LNG provider, which is a competitive advantage. Another key positive is that the Total/InterOil project is on its way and will undoubtedly provide further stimulus for the PNG economy, he said. Mr Toone said the PNG resources sector was increasingly aligning itself with Asia, while Singapore was fast becoming the head office for many resource-based multi-national corporations. For the local head of a bank, these were exciting times. “Given the increasing focus on the ‘Asian century’, we feel that having highly developed relationships in Asia can help us bring value to our customers in this sector,” he said. Given Westpac has nearly 200 years of global experience and over 100 years’ experience in the PNG market, it has the advantage of truly understanding the resources sector, he said. However, volatile commodity prices – such as the sudden fall in oil and gas prices – was a new challenge, leading to lower receipts for the sale of goods and also reducing the amount of foreign currency flowing back into the economy. “With a continuing volatile commodity market, sustained lower commodity prices can impact the speed of expansion in the segment, when considering future investments,” Mr Toone said. To counter this, Westpac was focused on ensuring its local team had “deep skills” around structuring banking needs for the sector from delivering quality banking solutions that will help PNG resources companies prosper and grow. These could range from complex project funding, term funding, equipment loans, FX markets, interest rate risk management techniques, or trade and transactional banking requirements. “On the other hand, commodity prices are cyclical and the industry needs to continually look at ways to smooth these cash flows out into the future,” Mr Toone said. Another challenge of doing business in PNG is the rugged geographical terrain and isolated rural settings where most natural resources are found. But closer to home, Mr Toone said one of the biggest challenges facing the banking industry was the ongoing pursuit of quality staff. “We will be investing further in our people across 2015 to make the bank even better,” he said. Westpac opened its first branch in 1910 as the Bank of NSW and has accomplished a number of goals since. For Mr Toone, the greatest of these was having the privilege of being a vital part of the PNG community for 105 years. “We are also proud to have increased our regional footprint over time,” he said. Westpac currently has more than 2,000 points of representation in PNG with a wide range of branches, ATMs, EFTPOS capabilities and In-store outlets, all of which are helping to making banking more convenient for more communities. Whilst rolling out these services Westpac PNG has continued to roll out free financial education to help men and women bank with greater confidence. On the Corporate and Institutional side, Mr Toone said the bank had launched several landmark corporate debt transactions and was ‘extremely excited’ to be seen as a major player in this space and to be providing expert advice to a number of key players in the resources sector. With the major market announcement at the end of January on the agreement to sell its operations in Cook Islands, Solomon Islands, Vanuatu, Samoa and Tonga to PNG’s Bank South Pacific, 2015 is shaping up to be a fast-paced year for Westpac PNG. The bank stands committed to focus on growth plans in Papua New Guinea and Fiji, where it has a strong and long history. “Looking at PNG, the country supports our international aspirations by being closely tied to Asia, Australia and New Zealand with strong flows of capital, trade and migration,” he said. Westpac PNG also aims to strengthen its presence in the Corporate and Institutional market in PNG, as well as providing banking to more customers in Government and State Owned Enterprises (SOE’s). It hopes to achieve this by supercharging its investment in its Global Transactional Services (GTS) offering. The service includes offering the banks Corporate Online Platform, which helps customers run smarter businesses by providing access to a suite of online transactional services that improve operating efficiencies and reducing costs. The service has been successfully rolled out in Australia and New Zealand to high levels of industry recognition before being launched in the Pacific. “In addition, I would like to see us strengthen delivery of our ‘Everywhere Banking’ model,” Toone said. Westpac runs a number of free financial literacy workshops for customers, school children and community and church groups as well as for employees of our customers including Financial First Steps, Money Basics and Business Basics. “In the last financial year alone, more than 7,000 people attended these workshops across PNG and the feedback from communities on these programs continues to be very positive. Despite the challenges Westpac is committed to bringing access to banking services to more of the isolated rural communities in 2015 and beyond. Mr Toone said he was looking forward to the bank being part of Papua New Guinea over the next 105 years.